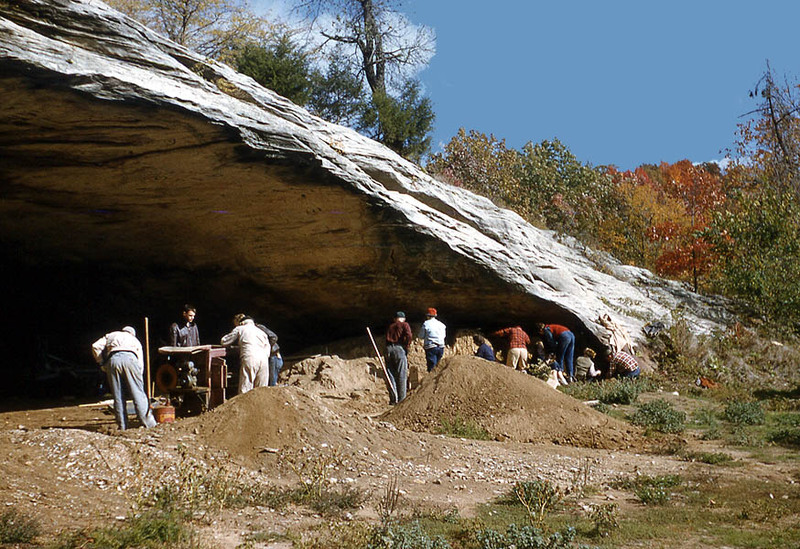 Graham Cave (23MT2) is an important archaeological site in Missouri that is protected as a State park. Reports were published by the Missouri Archaeological Society. The first report was published by W. D. Logan in 1952 and a second report was published by Walter Klippel in 1971. 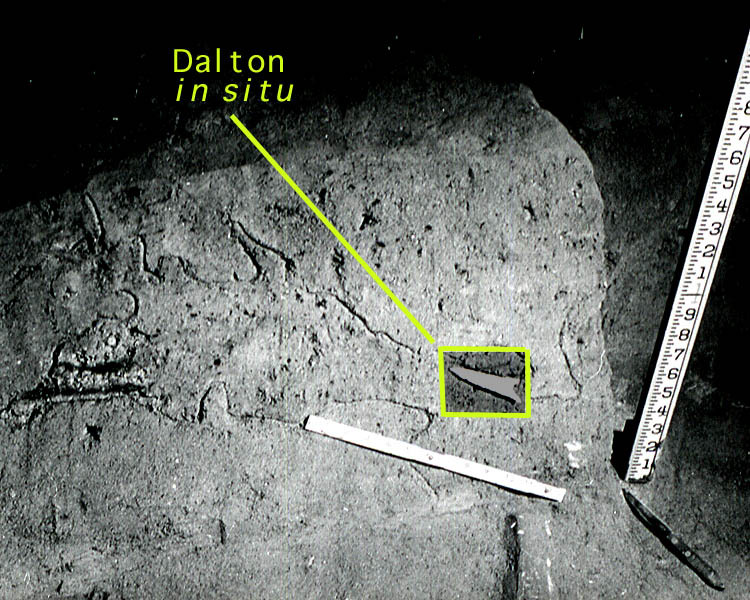 The site is discussed by Professor Carl Chapman in The Archaeology of Missouri, volume 1 (1975), and by Professors O'Brien and Wood in The Prehistory of Missouri (1998). Radiocarbon dates from Graham Cave include: 7850+/-500 BC, 7340+/-300 BC, 7530+/-400 BC, 6880+/-500 BC, 5950+/-500 BC, 5680+/-120 BC, 5660+/-140 BC, 5410+/-125 BC, 4850+/-120 BC. Graham Cave surrounded by Oak and Hickory forest. 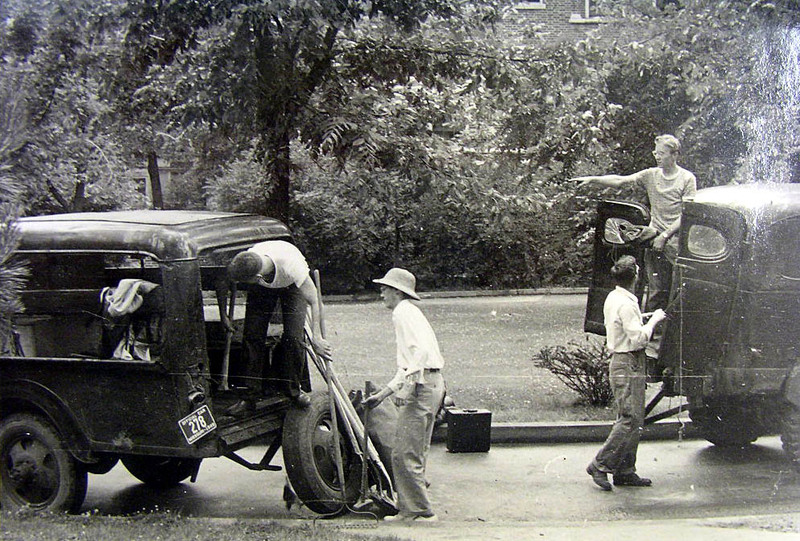 Packing the university truck for an expedition to Graham Cave, summer 1949. 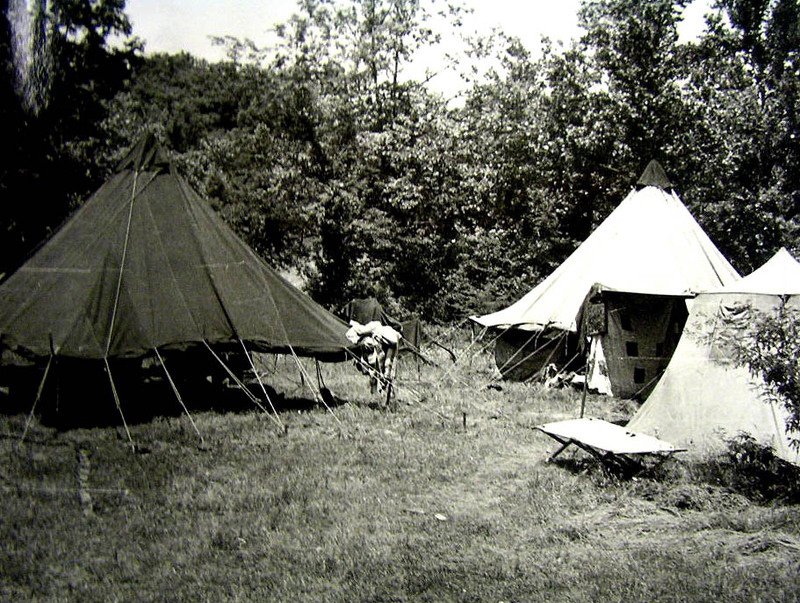 Canvas tents for field crews, summer 1949. UMC student at Graham Cave. Professor Carl Chapman outside of Graham Cave. 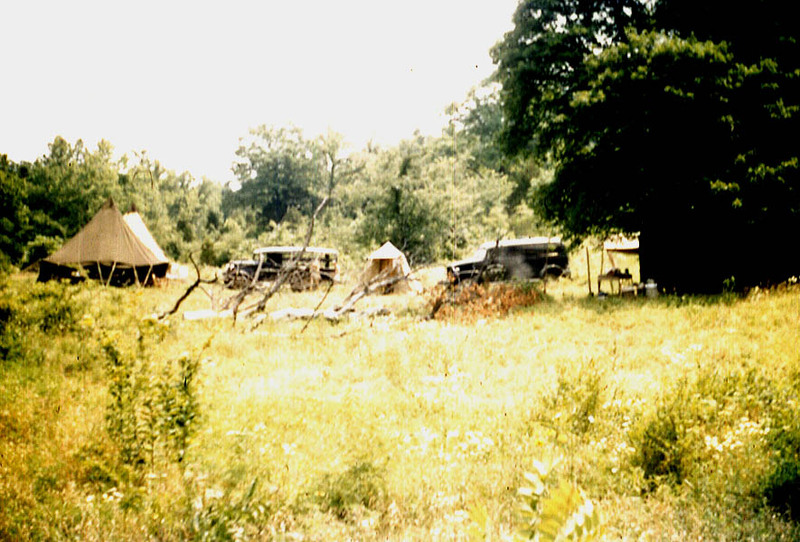 University of Missouri tent camp at Graham Cave. Graham Cave with open area in front. 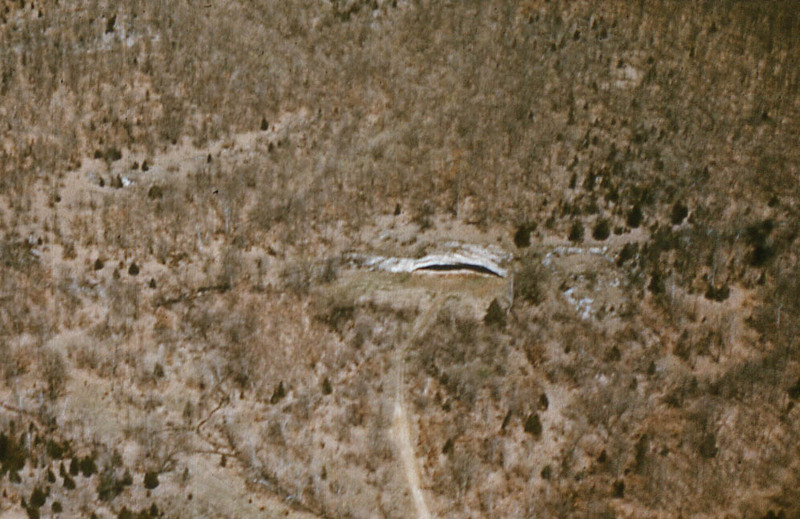 Aerial photograph of Graham Cave. 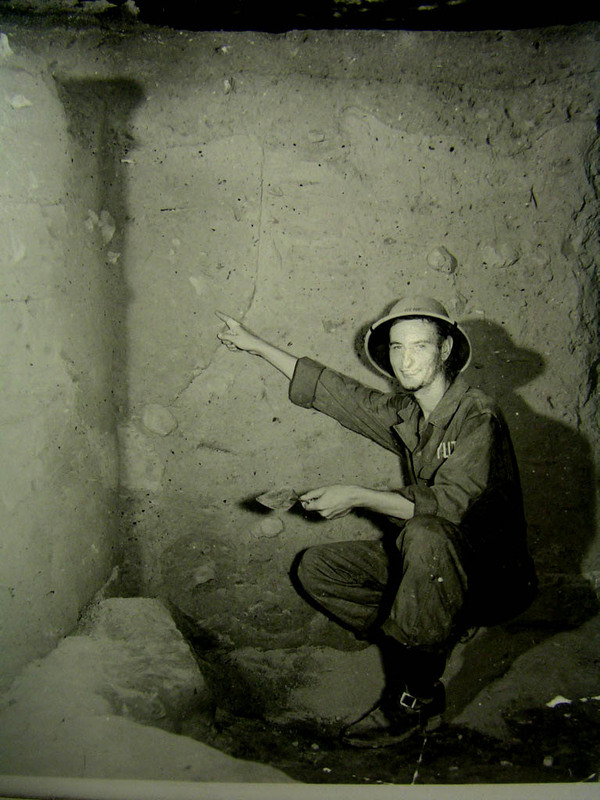 1952 Recent Excavations in Graham Cave. Memoir of the Missouri Archaeological Society 2:87-101. 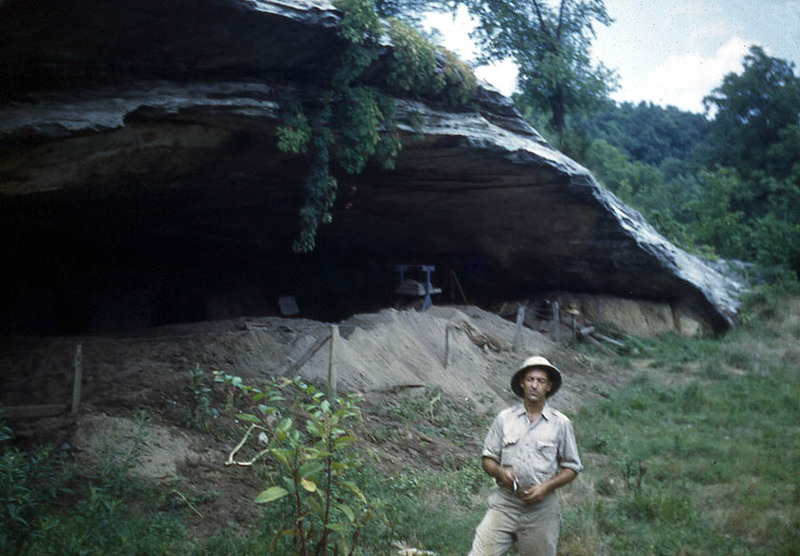 1975 The Archaeology of Missouri, I. University of Missouri Press, Columbia. 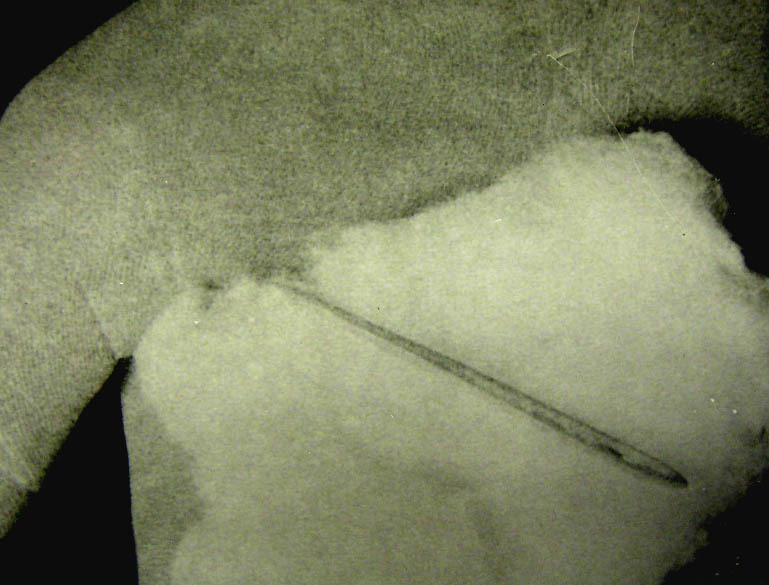 1971 Graham Cave Revisited: A Reevaluation of its cultural position during the Archaic Period. Memoir of the Missouri Archaeological Society 9. 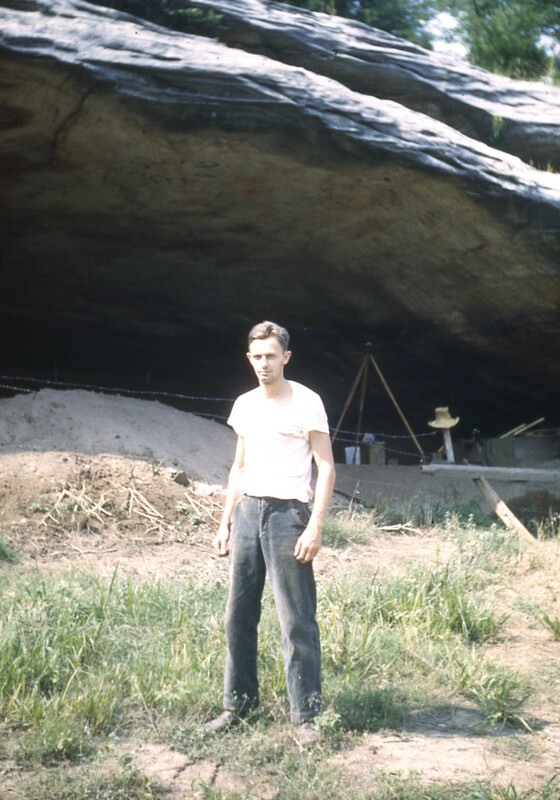 1952 Graham Cave: An Archaic Site in Montgomery County, Missouri. Memoir of the Missouri Archaeological Society 2:1-86. Special thanks to Candace Sall, Curation Specialist, American Archaeology Division for her assistance in researching the curated archaeological collections of the University of Missouri - Columbia. 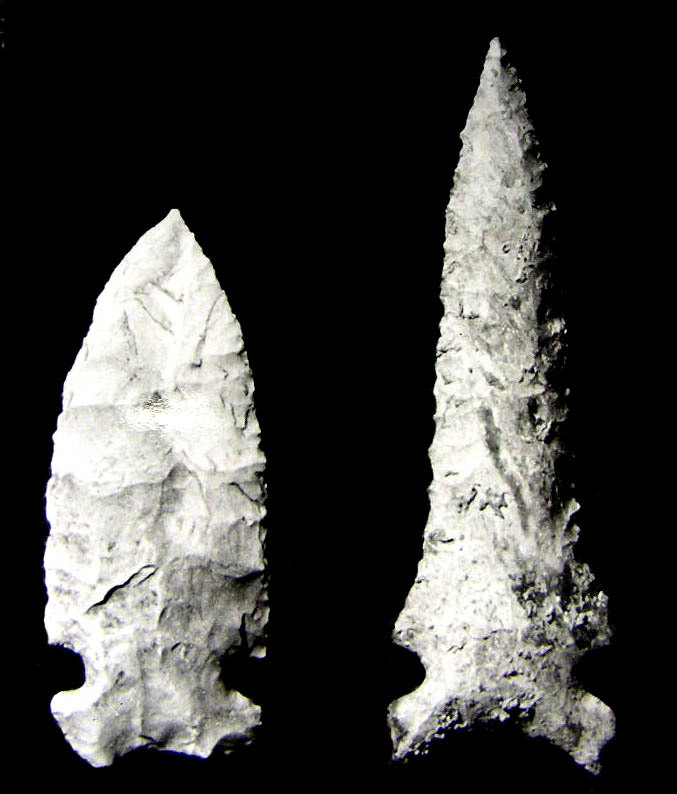 The images reproduced at this website were graciously provided by the American Archaeology Division (AAD) Museum and Missouri Archaeological Society. A warm thanks to Neathery Batsell Fuller for her advice on the content of the webpage.